Takayama is a popular sightseeing spot in Japan, known for its picturesque old town that is unchanged from the Edo period, its morning market, and one of the most beautiful festivals in Japan, the Takayama Festival. There is another thing that you should not forget when visiting Takayama: the abundant local sake. Six historical sake breweries are located in the town for you to visit on foot. 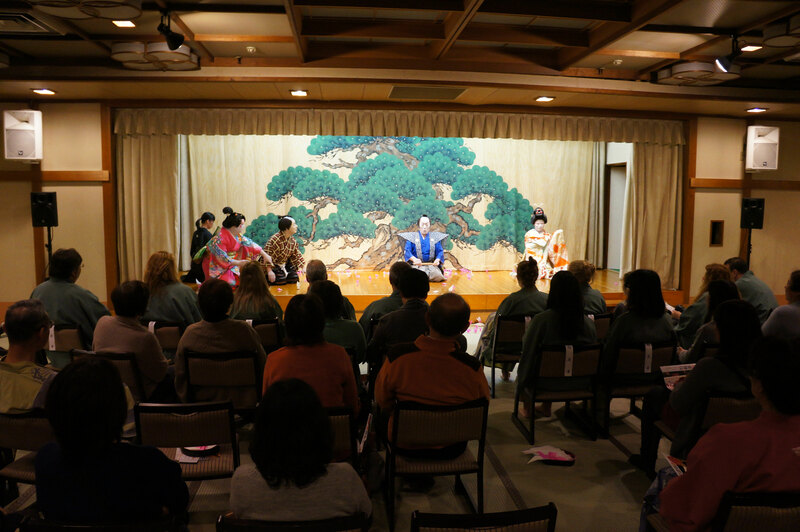 Takayama Green Hotel, which is located near JR Takayama Station, holds a special event where you can enjoy both a Jikabuki performance and the Jizake (local sake) of Takayama at the same time. All of the performance date has ended. Thank you. 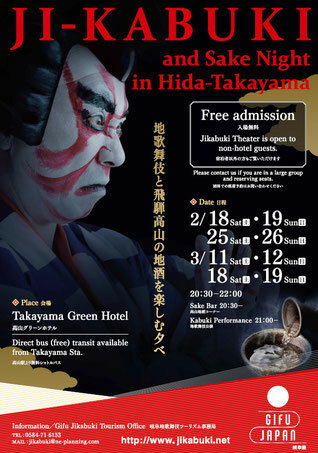 ※歌舞伎上演は21：00～　Kabuki performance starts at 21:00. Please enjoy specially arranged programs. A free shuttle bus is operated from the station square at the west gate of JR Takayama Sta. Takayama is a popular sightseeing spot in Japan, known for its picturesque old town that is unchanged from the Edo period, its morning market, and one of the most beautiful festivals in Japan, the Takayama Festival. 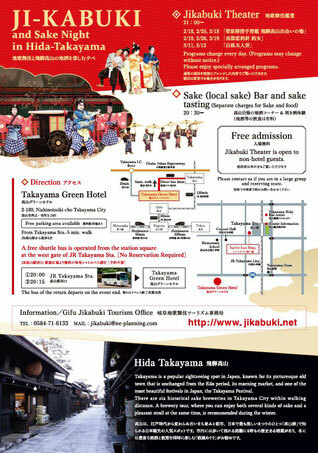 There are six historical sake breweries in Takayama City within walking distance. A brewery tour, where you can enjoy both several kinds of sake and a pleasant stroll at the same time, is recommended during the winter.